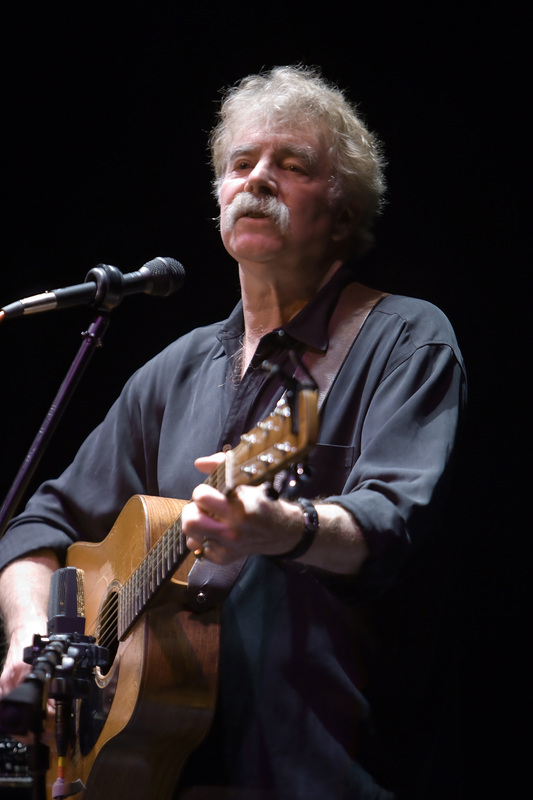 Tom Rush– timeless and still touring. We are not much into nostalgia. And we aren’t groupies. But it was more than idle curiosity that drew us to Minneapolis last week to see and listen to the folk blues singing hero of our youth, Tom Rush. Rush was, and still is the consummate story teller. We first saw him at The Riverboat in Toronto back in 1966. Back then, about 75 of us could cram into this little subterranean shotgun of a room on Yorkville Avenue, right beside a smoke shop called the Grab Bag. Admission, $3.00. If it wasn’t a busy night, you could stay for two sets, maybe all night. Drinks? You bet. Lemonade, cappuccino or mocha coffee. Smoke? Light ’em if you got ’em. Selfie, before there were selfies. The Riverboat truly derailed my formal education. All of the new folk and blues singers started there: Joni Mitchell, Richie Havens, Jim Kweskin, Gord Lightfoot, Sonny Terry, Brownie McGee, Tim Hardin, Jack Elliott, Arlo Guthrie, Eric Anderson, Tom Rush…and I saw them all, prolonging my university stay. 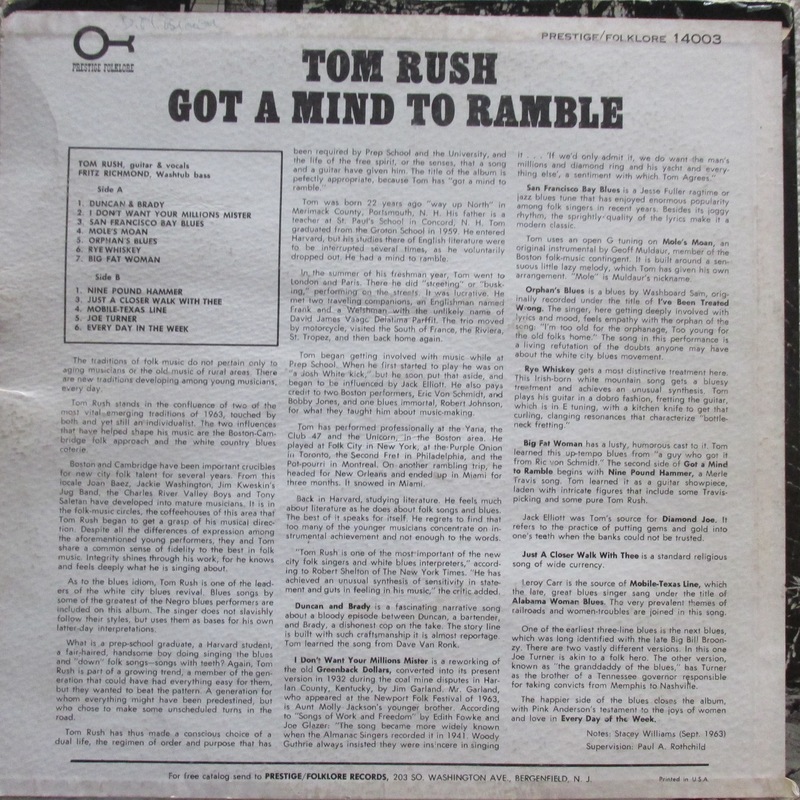 But Tom Rush was the most memorable because of his ability to set up every song with a story. And the tunes themselves were stories, made epics by his delivery. One of his first albums, a masterpiece. So it was exciting to see this guy again, even if he wasn’t mainstream billboard marquee candy. I took along his first album cover with the plan to get an autograph. But I changed my mind when I realized that I had bought it in 1965, 50 years ago. To ask him to sign it now would be a cruel favor indeed. When we entered the Dakotah Jazz Club on Nicolett Mall we also had an awakening. It’s comfortably small, hosting maybe 150 diners around a small stage. But the diners were the warm bucket of water we did not see coming. They were old. With old gray pony tails, and walking sticks, and suspenders, and jean shirts, and earrings, and mustaches, and sandals. Trains, stories, music, smokes… the quintessential folk singer. That’s when it hit me. Pow. I’m old. Just then Tom Rush came out on the stage. And he’s even older. Not the slim, young, booted guy strolling down the cobblestone lane we remembered. But still, to his credit, a slim older guy, with a full head of real, white hair. Rugged and ready. He launched into one of his new songs, “It’s Gonna Get Hot Tonight” and never looked back. The voice was there, intact. His guitar work was perfect. And the stories flowed, all over again as the audience sat back to enjoy the ride. What a treat. He knew us well, and played to our weakness: we’re all old. Or advancing anyway. The idol of our hippie youth: an english major Harvard drop out. He smiles as he sets up The Remember Song. This is his talking blues about failing to recall names and faces, conquering wireless technology, and hooking up. True to the theme, he forgets where he’s at in the middle of it. And we lap it up. Delicious. An unlikely pose, but the record company demanded it no doubt. 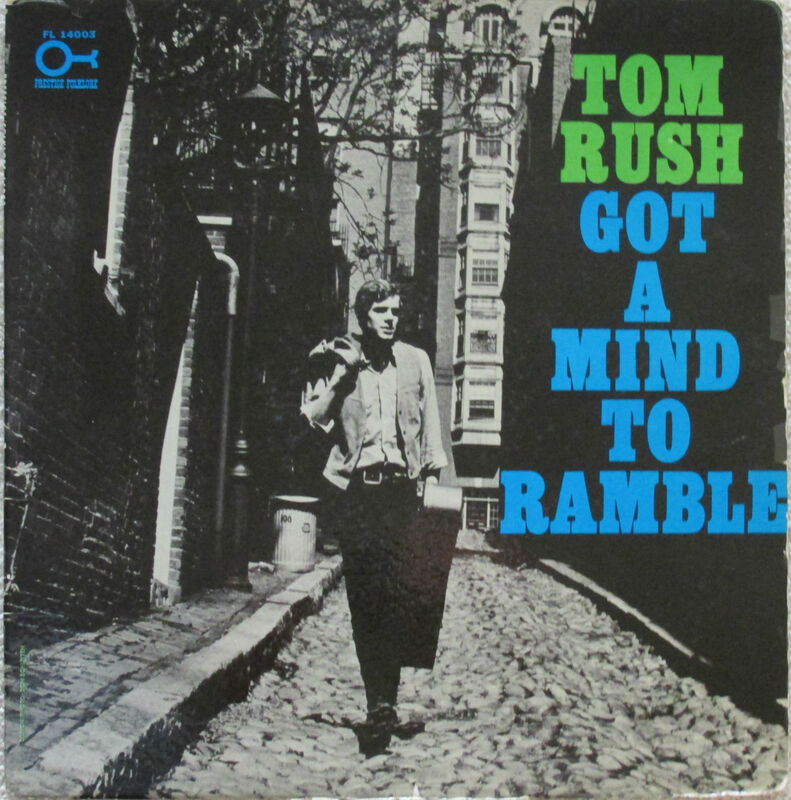 He covered a lot of his work that night, and it provoked me later to get out all our Tom Rush albums. Which gave me pause to think. The tragedy of streaming music online is that we no longer have album covers to read. Used to be you’d put the needle on, and sit back and read the album backer, extracting every scintilla of detail about the artist. No more. Something to read and read again while we listened. Our migration to smaller media and its packaging is the driver. In the 25-year generational shift to today, we traded in big vinyl records for 8 track, then cassettes, overtaken by CDs, which were displaced by downloads and Internet radio. Along the way, we gave up the opportunity to read about our music. Now we can listen to more and more of it, while we know less and less about it. A Michael Wiseman pic of the story teller, nonpareil. Fortunately, Tom Rush steers clear. He doesn’t play to massive concert audiences. He’s for small crowds, talks to them, and as a result, we come to know him and his music well. Probably won’t forget it either. Thanks for reading! Please share this with your musical friends! Phil, you tell a pretty good story too. Yeah thanks… But you’ve been IN more stories! 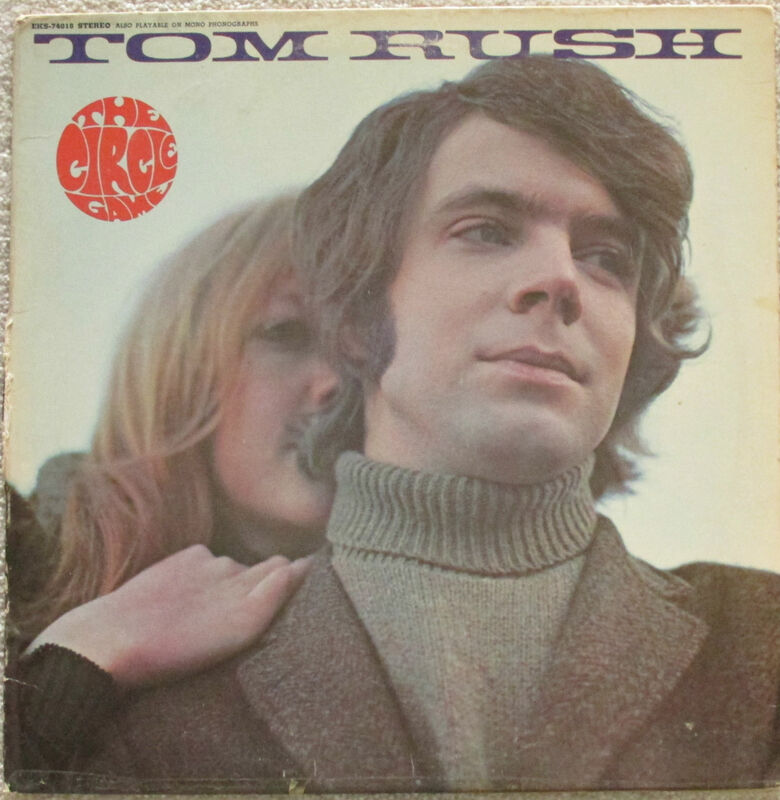 I don’t know Tom Rush but certainly many of the other singers you mentioned from his era. And at our house, we still have a lot of vinyl and a turn-table to play them on, which we do every now and then. I love the musicians who keep on going, well into their sixties and seventies (as long as they can still sing). Yeap, we’re all getting old. Great story Phil! Hi Hedi! Great to hear from you. We too have a cabinet full of vinyl. Apart from the liner notes, I like 33rpms because they seldom last more than 30 minutes before you have to climb out of the couch to turn the record over. It is a good check to confirm you are still alive. Haha! You are also right to applaud those many musicians who are a) still alive, and b) performing well. Probably my oldest musician treat is Keith Richards who under most scenarios should not be with us. The patriarch of British rock is intriguing, charming, and still performing. Thanks for writing! 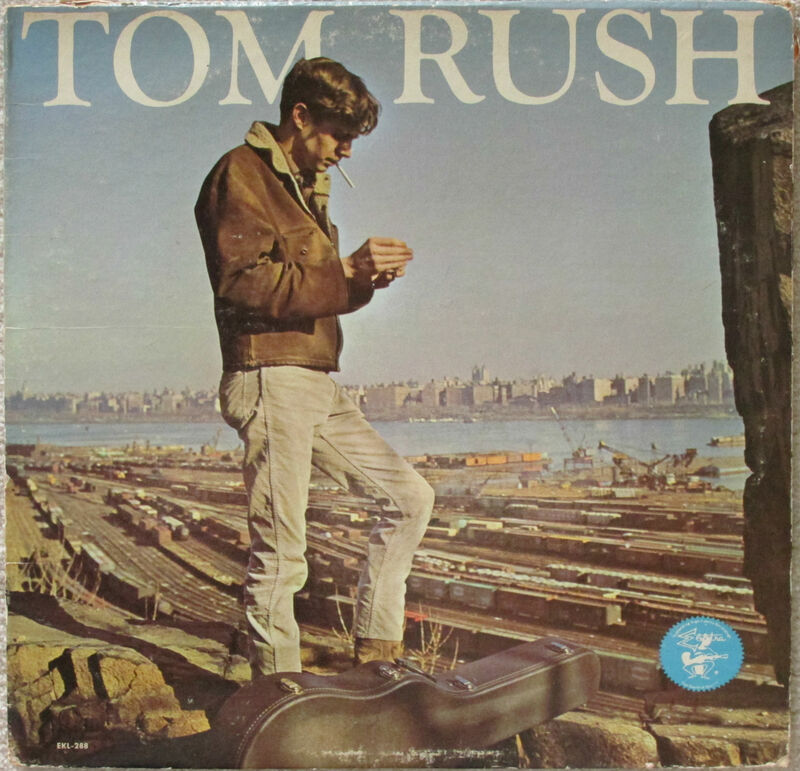 Haven’t listened to Tom Rush in years. Thanks for the reminder. His sound reminds me of Jim Croce. Hi Hugh! He is as good as ever. I recommend his latest album “what I know”. Hasn’t dulled with age. Hi Hugh….great read and perfect. I used to see Tom perform here in Phoenix in the early 70’s, after the release of Wrong End of the Rainbow and then after his Merrimac County album. I had to go and find all his Prestige recordings and filled in the Elektra albums. Read every word on those liner notes. 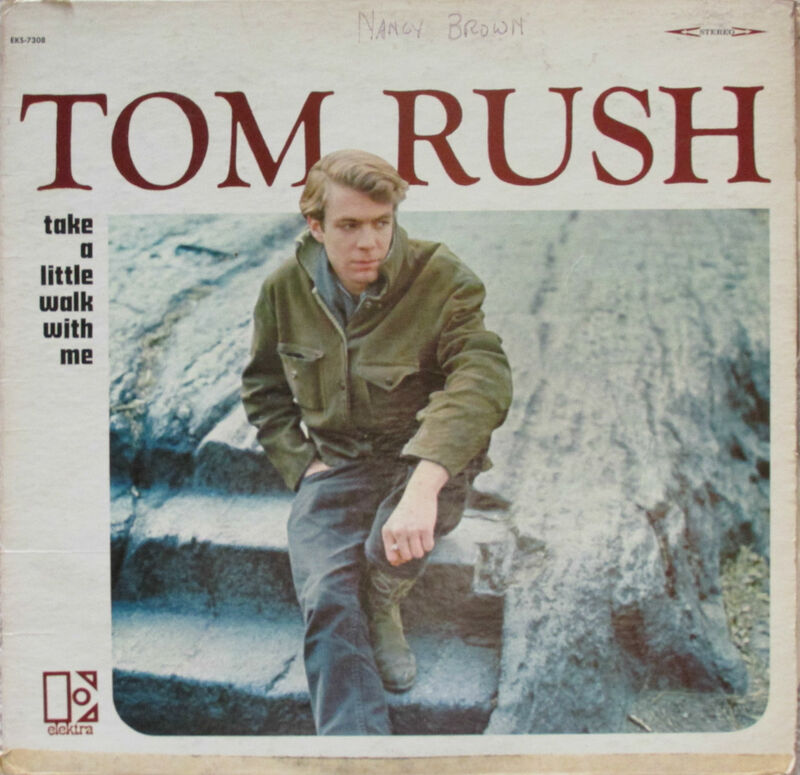 Tom Rush is not only a consummate musician and storyteller, but a good human. Without boring you too much with all the details, Tom was an early adopter in the Internet age and had started an email list of his fans before most people knew what dial up looked like. He was gracious enough to correspond with many of us and of course asked if there was a venue in town, he would love to come and play. Well, a few years later, Danny Zelisco (a local promoter), booked him into the Celebrity Theater here in Phoenix on January 25, 2006, which is where I first saw Tom. As it turned out, it was my first date with my wife, so I had him sign some autographs after the show, and gushed about how great it was to see him perform after 30 years, and generally behaved like a typical awestruck fan. After all, Tom’s music has been playing in my back brain for most of my life. Anyway, as luck would have it, he returned to Phoenix in October to play at the Rhythm Room, and I emailed him to ask if he would play the River Song, and dedicate it to my wife and I, since were by then engaged and being married on the following weekend. He was gracious enough to agree. I did not tell my wife of course, and surreptitiously reminded him prior to the show. So I sat with expectations. Only no River Song and no dedication. I was crestfallen. My wife could tell something was amiss, so I told her after the show what I had attempted to pull off, and was sorely disappointed, but figured he must have just forgotten. That is not the whole story. This is: 2 weeks later, I received an email from Tom, and he apologized profusely for forgetting to do the dedication. Without any prompting from me, he said he remembered long after the event and felt terrible that he had forgotten, and asked that the email be considered recompense for the failed mission. That’s how you measure a fine human being. What a man does when he doesn’t have to, and no one would ever know the difference. Hi Erich! Thanks for sharing your pre- and post-nuptial story, with Tom Rush in the middle of it. I totally get your description of his music playing in your back brain for years. Some stuff just sticks. 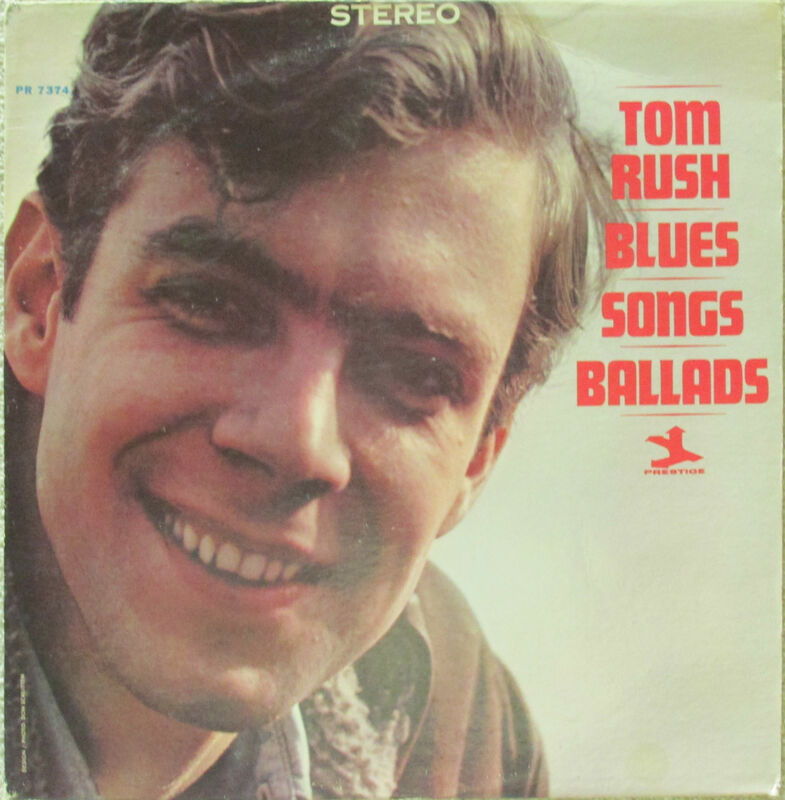 Tom Rush was my first teacher in music, guitar and story telling. Though I had never met him, I could play, or reverse engineer all his songs. I remember stories he told too, to set up the next song. Like the great steam shovellers strike of ’29 which sets up “Scoop For You”, or the great baker’s strike of…’29? which sets up Jelly Roll Baker. He also had patter between songs, for instance when he broke a string at the Riverboat, proceeded to change strings while telling us how amusing it would be to take out a deposit slip at the bank, turn it over, and then write “This Is A Stick-Up. Gimme all your cash.” Next, place the slip back in its pigeon hole and wait for the next customer to use it. We thought this was pretty cool, and then he broke the new string tightening it. While he put in string #2, he told us another bank prank. “When you get up to see the teller, do your transaction, and then tip ’em a buck of good service. THere’s nothing they can do with the cash..can’t put it in the drawer, can’t put it in their pocket!” Glad you enjoyed my write-up. Please share it with your friends! I have seen Tom Rush perform many times over the last 40 years. I have seen him on the big stages of Bostons’s Symphony Hall and many small venues around New England. He is still one of the best. He is all of that Jim! And very durable too. Thanks for reading, and feel free to share! 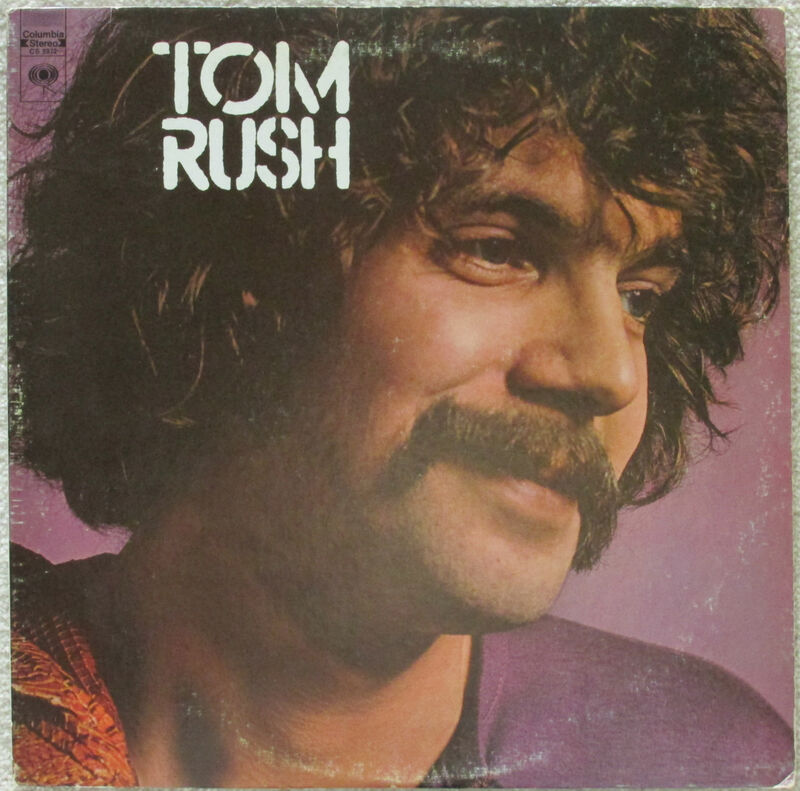 I can remember seeing Tom Rush for the first time while sitting on the gymnasium floor on a sleeping bag at Stonehill College in 1976. I try to see him every year or two when he comes through the area. He is still the best. Hi Jim! We are off to see him in Asheville this May 22. He is the best, you are right. Thanks for writing!